2016 Wrestling - Keyshawn Carr Finishes Among Top 8 in STATE! 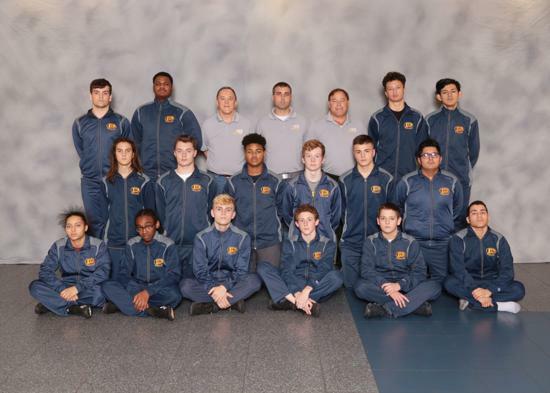 The Pius XI Wrestling Team had a great showing in the W.I.A.A. Sectionals! Congratulations to Keyshawn Carr on winning his Sectional and finishing in the top 8 at the 2016 STATE Wrestling Meet in Madison, WI. 2015 Wrestling - Keyshawn Carr to STATE! Keyshawn Carr will be representing Pius XI Wrestling at the W.I.A.A. State Tournament this season in Madison, WI. He is scheduled to begin his “State Wrestling Journey … 220 pound Weight Class” on Thursday, February 26th. Opening matches are scheduled to start at 3:00 p.m.
2014 Wrestler Qualifies for W.I.A.A. STATE Meet! Congratulations to Pius XI Wrestler Quinn Burzynski! He qualified for the 2014 W.I.A.A. STATE Wrestling Tournament, after winning his weight class in the W.I.A.A. Sectional! Quinn finished in 6th place in his weight class at STATE! Great Job! The Pius XI Wrestling team is forming an alumni club. The purpose of the club is to keep former wrestlers up-to-date with the current team. There are no dues or meetings; just a chance to reconnect with old friends. Schedules and updates on the team's performance will be e-mailed to club members. Any past wrestlers who are interested should contact Coach Bill Phillipson at philliwr@yahoo.com.